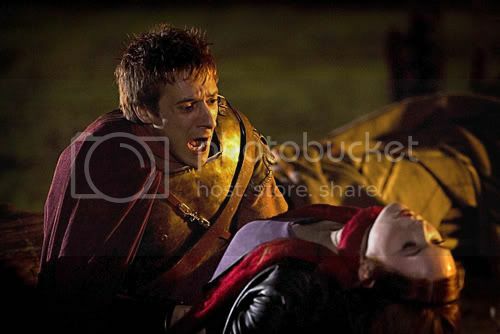 Ok i warn you all now, these pics are very very spoilery so if you dont want to know dont look. Awesome the Weevils are appearing! If Amy dies and the Doctor 'rewrites' time to go back and save her, could that start the crack? Captain Jack is the cause of the cracks. One crack for every being he has slept with. That is why they are all over the universe in space and time. Is young Amy going to die??? 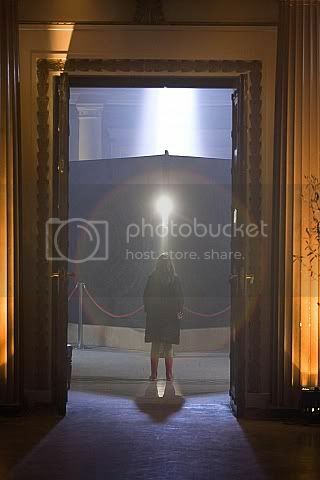 What happens then, Doctor tries to change the history in order to keep her alive??? Rory kills Amy. The Doctor goes back to fix it, or at least that is the rumor. Posted on behalf of Future Matt Smith. United, the Doctor's friends send him a warning, he deals with a message on a cliff, a mysterious box and a love story which spans over millennia. 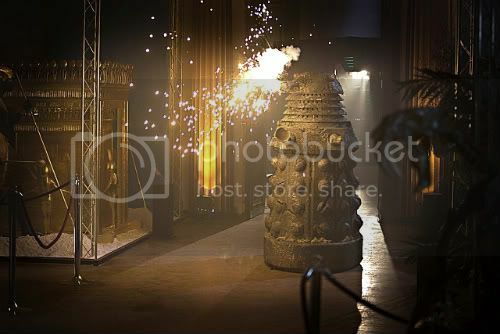 The Pandorica, which contains the most dangerous threat in the Universe, is opening. Only one thing is certain: "The Pandorica will open...silence will fall". 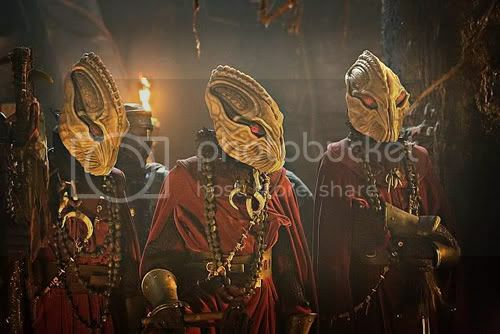 The episode title refers to the Pandorica, first mentioned in "The Eleventh Hour", and once again by River Song in the fifth episode of this series, "Flesh and Stone". The Doctor believes it to be merely a fairytale. In a preview clip, River Song announces alien races whose space ships have received the transmission from Stonehenge. 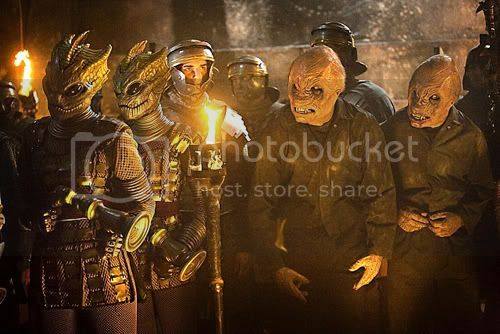 They are the Daleks, the Cybermen, the Sontarans, the Terileptils, the Slitheen, the Chelonians, the Nestene, the Drahvins, the Sycorax, the Zygons, the Atraxi and the Draconians. Hm, the only really spoilery pic is the last one. Not sure about that yet, gonna have to see how they do it. 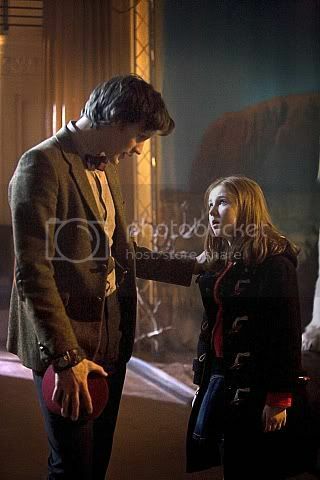 I just hope it doesn't mean the end for Amy Pond. b3rt4 wrote: Hm, the only really spoilery pic is the last one. Not sure about that yet, gonna have to see how they do it. I just hope it doesn't mean the end for Amy Pond. Just checked iplayer, it says tonights episode is on between 6.40-7.30pm yet is only 45mins long; I've also seen reports that it's a 55min episode Anyone know which is right? BBC's press site says 6.40-7.30pm, too. I guess it's wait and see time then lol. can't wait to see the epi!! i am anxious to see how it all plays out. Hm, so how does the Doctor get out of there? And does young Amy appear there?